Zombie got your tongue? This bad boy has lost a portion of his lower jaw and as a result, his tongue just hangs out. 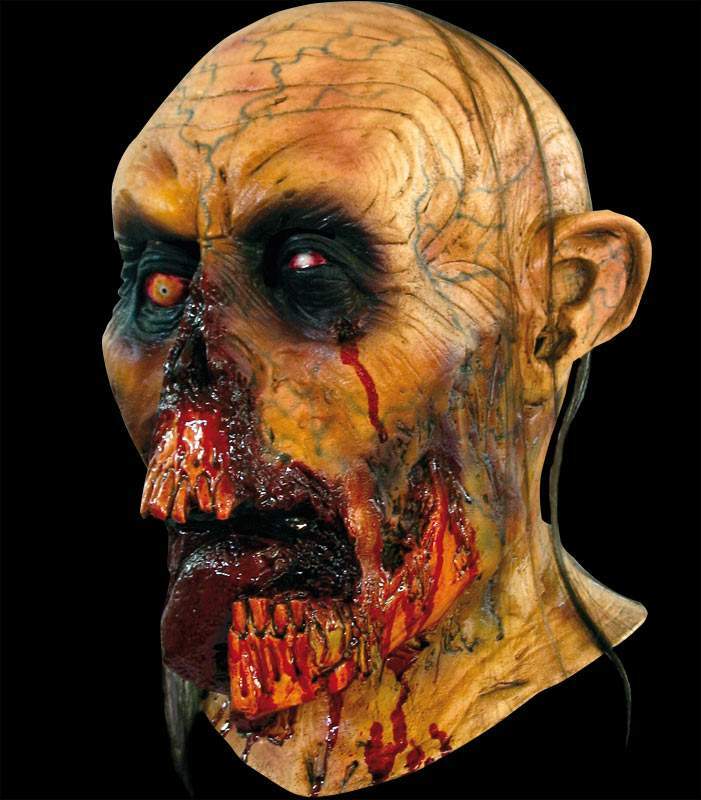 An excellently detailed full over the head latex mask. Easy to drink with this mask on (ok, with a straw anyway) - good size air hole in the roof of mouth.